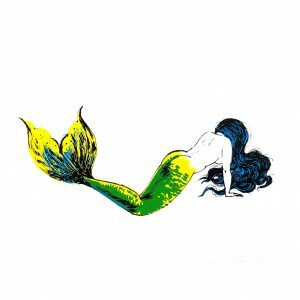 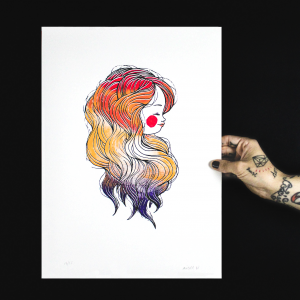 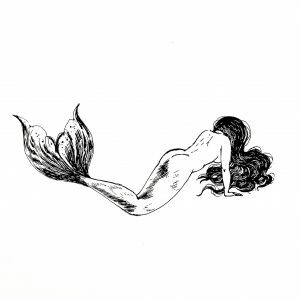 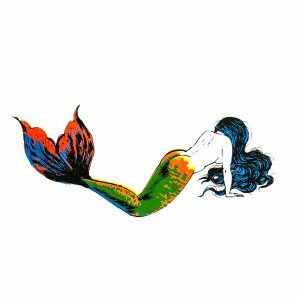 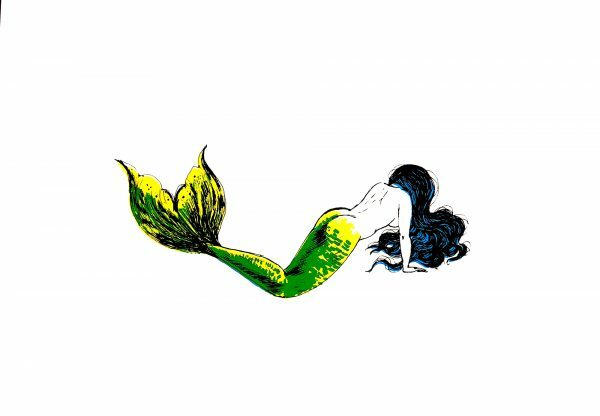 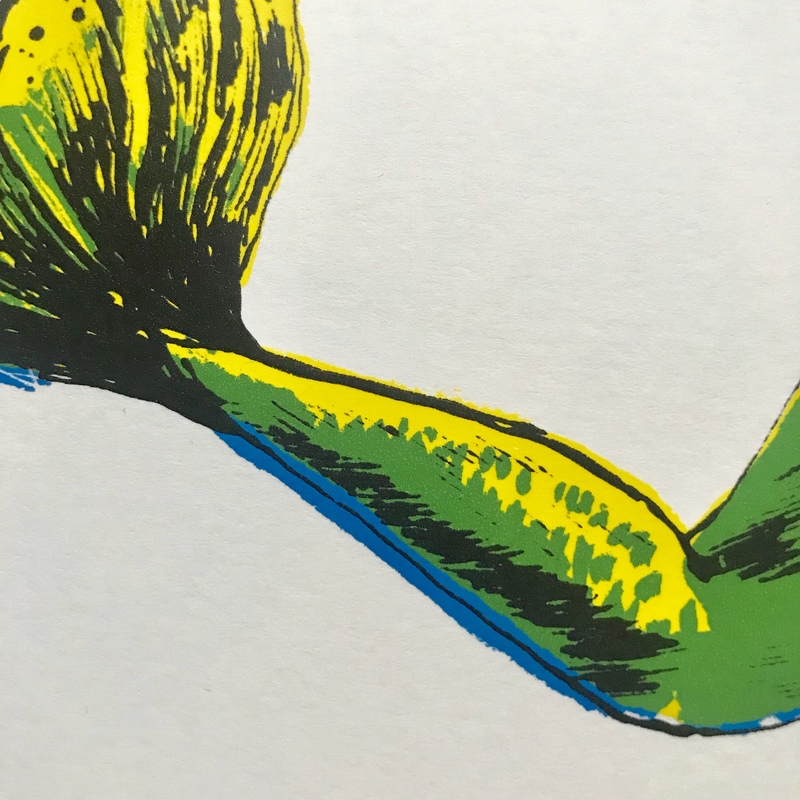 this is a series of 15 screen prints from my famous “backyard mermaid”. 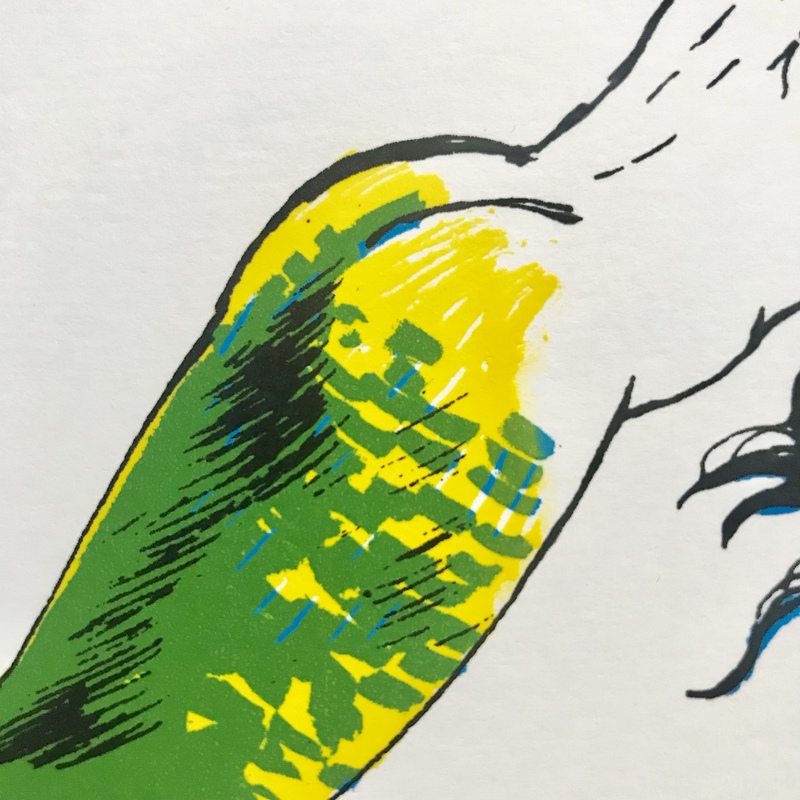 in this 15 copies éditions you can see 3 colors and black. 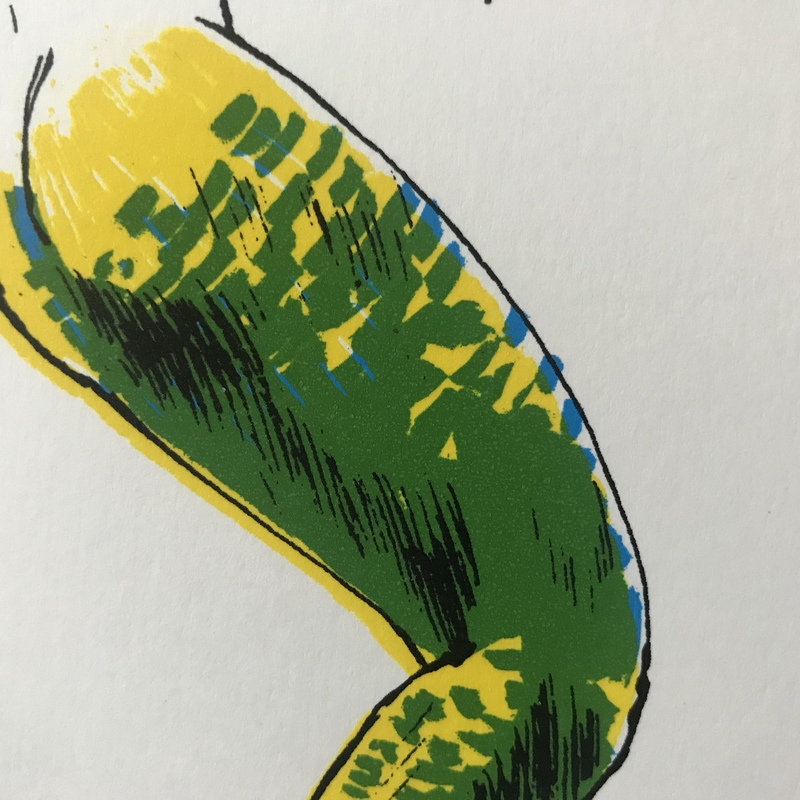 you can see yellow, blue and green, but what Inprinted was yellow on the tail, then blue in the hair and tail but the yellow again on the tail and -surprise (not really) some blue became green! 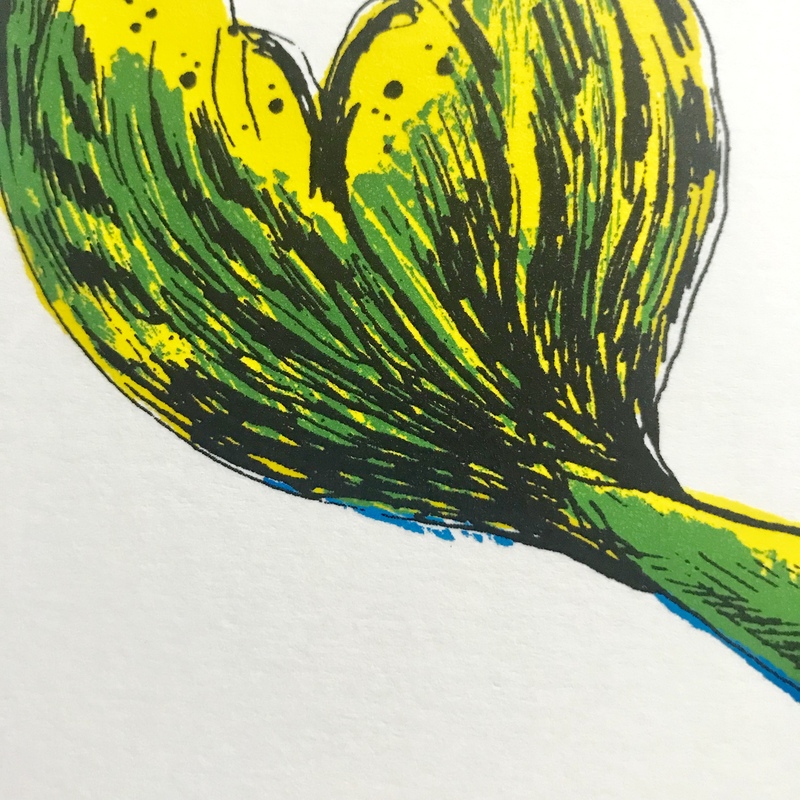 and if you’re lucky enough, in some copies of those s edition, you still can see a fine blue outline under the green scales and this, for me, is the magic of screen printing. 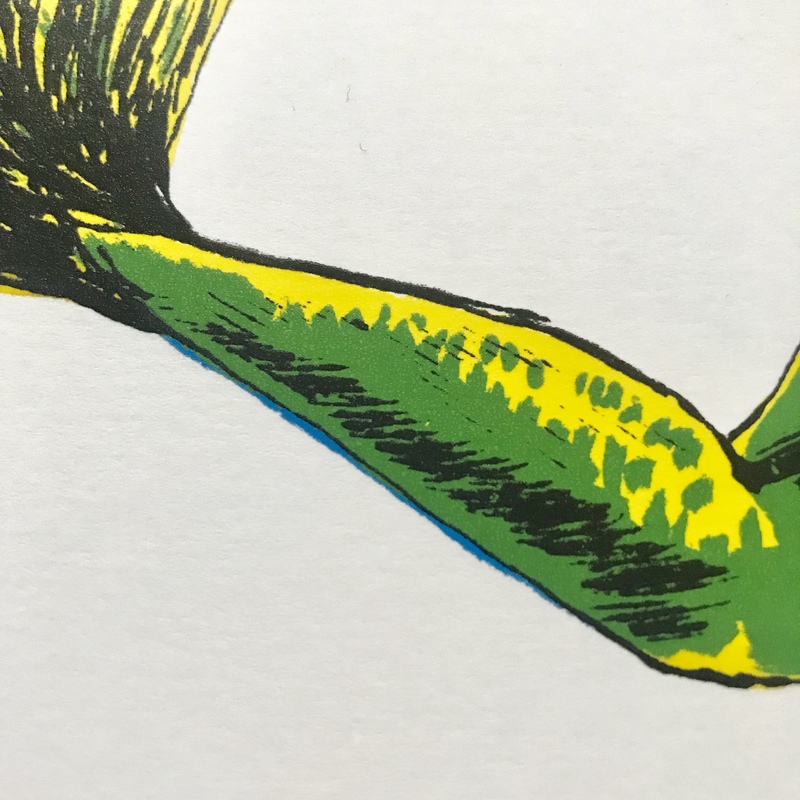 is like seeing the squeegee traveling on the frame again.